A quick view of the most influential metrics in Columbus. 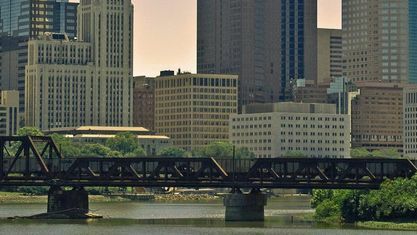 Columbus is not just the state capital and largest city in Ohio; it is also the 15th largest city in the U.S and the third largest city in the Midwest. There are so many communities to love in the ten counties that encompass Columbus and the Gilmore Group is available to help you explore each one. Be sure to check out the links to our showcased communities and contact us if you need more information on a location that is not featured. We helped our clients purchase in 31 zip codes last year and are educated on all Columbus communities and many surrounding areas. Columbus is a hub of activity if you are interested in the arts, theatre, sports, music and outdoor adventures. Explore our many Entertainment Districts including; the University Districts, Grandview Heights, the Short North Arts District, Arena District, Central Downtown, Discovery District, the historic German Village, the Brewery District, King-Lincoln District, Olde Towne East and Franklinton. We are also the home to world-renowned Columbus Zoo & Aquarium. 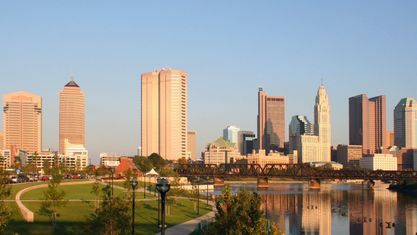 Columbus is home to many well-known companies including Battelle Memorial Institute, Chemical Abstracts Service, NetJets and, our largest employer, The Ohio State University. As of 2013, the city has the headquarters of five corporations in the U.S. Fortune 500: Nationwide Mutual Insurance, American Electric Power, L Brands, Big Lots, and Cardinal Health. Having restaurants such as Wendy’s, Donatos Pizza, Bob Evans, Max & Erma’s, Cameron Mitchell Restaurants and White Castle headquartered here, we are also a fabulous city for dining options. View our selection of available properties in the Columbus area. Check out the latest demographic information available for Columbus. Get to know Columbus better with our featured images and videos. Learn more about schools near Columbus complete with ratings and contact information. Browse through the top rated businesses in the most popular categories Columbus has to offer.